This Volkswagen Golf Alltrack boasts a Intercooled Turbo Regular Unleaded I-4 1.8 L/110 engine powering this Automatic transmission. Wheels w/Silver Accents, Valet Function, Trip Computer. This Volkswagen Golf Alltrack Features the Following Options Transmission: 6-Speed DSG Automatic w/Tiptronic, Tailgate/Rear Door Lock Included w/Power Door Locks, Systems Monitor, Strut Front Suspension w/Coil Springs, Steel Spare Wheel, Speed Sensitive Rain Detecting Variable Intermittent Wipers w/Heated Jets, Side Impact Beams, Side Curtain Protection Curtain 1st And 2nd Row Airbags, Seats w/Leatherette Back Material, Roof Rack Rails Only. Visit Us Today For a must-own Volkswagen Golf Alltrack come see us at Sherwood Park Volkswagen, 2365 BROADMOOR BLVD, SHERWOOD PARK, AB T8H 1N1. Just minutes away! This Volkswagen Golf Alltrack boasts a Intercooled Turbo Regular Unleaded I-4 1.8 L/110 engine powering this Automatic transmission. Wheels w/Silver Accents, Valet Function, Trip Computer. This Volkswagen Golf Alltrack Comes Equipped with These Options Transmission: 6-Speed DSG Automatic w/Tiptronic, Tailgate/Rear Door Lock Included w/Power Door Locks, Systems Monitor, Strut Front Suspension w/Coil Springs, Steel Spare Wheel, Speed Sensitive Rain Detecting Variable Intermittent Wipers w/Heated Jets, Side Impact Beams, Side Curtain Protection Curtain 1st And 2nd Row Airbags, Seats w/Leatherette Back Material, Roof Rack Rails Only. 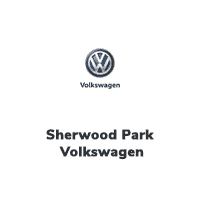 Visit Us Today Test drive this must-see, must-drive, must-own beauty today at Sherwood Park Volkswagen, 2365 BROADMOOR BLVD, SHERWOOD PARK, AB T8H 1N1.